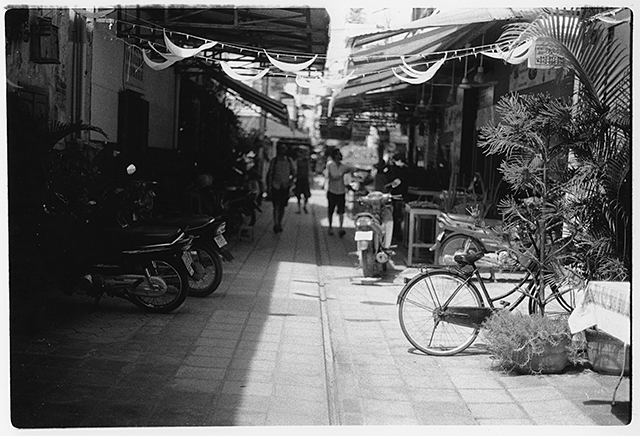 Darkroom Print of a street in Cambodia. Available in digital format from scanned darkroom print. Original darkroom print on request.